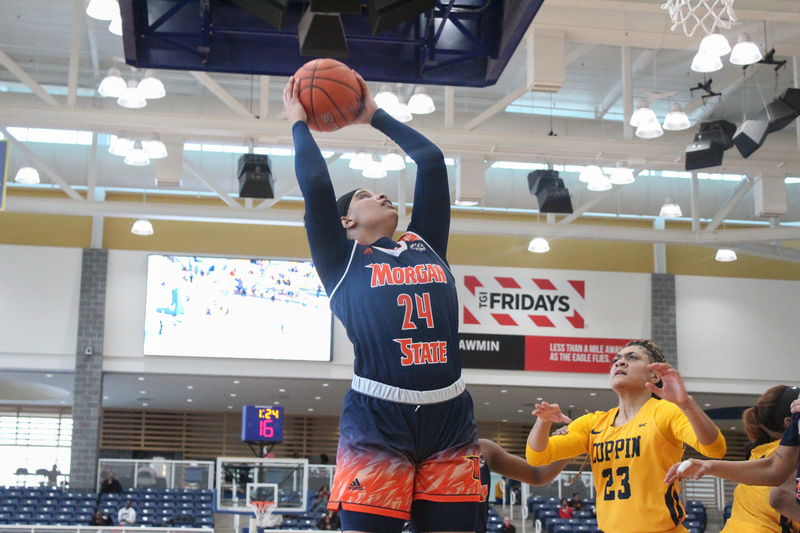 Morgan State took no pity on rival Coppin State in women’s action. It was rivalry Saturday in Baltimore as Morgan State clashed Coppin State in a basketball doubleheader. Starting off the day was a women’s matchup that wasn’t even close as MSU beat CSU 74-57. The big win for Morgan State was launched after a 23-5 first quarter performance. Coppin State rebounded, scoring 22 points in the second quarter. Both teams had decent second halves of the game but the MSU lead helped them in the end. Th win was never in doubt. The Lady Bears led for almost the whole game and CSU did not have at least one lead in the game. Adre’onia Coleman scored 20 points and snatched eight rebounds for the Lady Bears. Jihayah Chavis added 17 points in rout. Despite the loss, Brooke Fields scored 24 points for the Lady Eagles. The win pushed MSU to the middle of the MEAC standings while CSU stays near the bottom. MSU will face SC State next week as Coppin State will face Savannah State.